Cloud FastPath has seen it all. From migrations of a few hundred users to hundreds of thousands of users, Cloud FastPath’s proven migration strategies ensure successful migration – no matter how complicated. 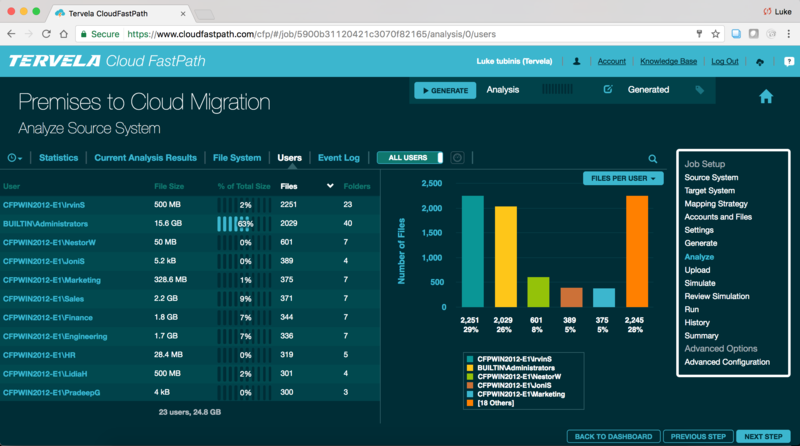 This guide shows how to use Cloud FastPath Analytics to plan, organize, and prioritize a large-scale migration. In this ebook learn about what you need to know for simple, fast, and secure cloud file sync and share adoption.